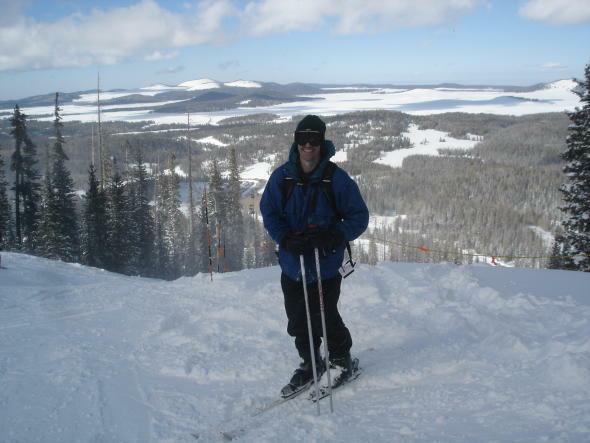 Skiing on snow is another adventurous and high adrenaline activity you can try if you prefer this kind of things. These are normally done on snowy mountains with different levels of slope on them that could give various challenges to skiers. Just like other sports, you should have the proper gears to perform them though these are usually held during winter. Some mountains though have snow all year round due to their location in the earth and their height which makes them cold always. Example of this type of location is the Sunrise Ski Park located in Arizona operated and owned by the local Apache Tribe. When you do this activity, always be aware and follow these tips to keep yourself and everybody else safe. Stay in control always and be able to avoid or stop from hitting objects or other people which usually starts by understanding your abilities. If you are planning to increase your speed then be sure you have enough space and know the upcoming trail. Avoid skiing in difficult terrain when you are just a beginner. The right of way belongs to the people that are ahead of you and you are responsible in avoiding them. That is because those below you are looking downhill and would be incapable of seeing you or anyone else behind them. Knowing what your line is will be impossible for them and you should instead make it to prevent collisions or close calls to those in front. Do not stop somewhere that you can obstruct the trail or be invisible from above and make sure they could see you instead. It is terrifying for those riders to see someone, specially a child, sitting in a place where they might get hit. The parents are also responsible for their children to ensure they are not creating a hazard. When merging into the trail or starting downhill, look uphill and let the others pass first since this time, you do not have the right of way. This is similar when driving and pulling in highways where you need to see if anyone is coming up at your back. Take the time to peek because being rear ended usually is due to your own fault. Observe all warnings and signs posted while also avoiding and keeping out of areas and trails that are closed. Almost all trail junctures would put up a bright orange sign to indicate that skiers need to slow down because of potential danger from merging traffic. Resorts close trails because these are considered unsafe. Before using any lift, you should have the proper knowledge and capability of loading, riding and unloading safely. Knowing where the lift is going is also important since you must be capable and confident of handling the terrain there. You may find yourself somewhere where the ride would be too difficult for your skills. Respect other people specially ski school groups and novices because everybody started as a beginner once. Blasting past them is not only dangerous and childish but could ruin their experience as well. This also ensures you to be recognized by everyone as an unpleasant person.